Each new product purchased, each piece of advice taken, each preventative measure used, means one step closer to success in the fight against moths. 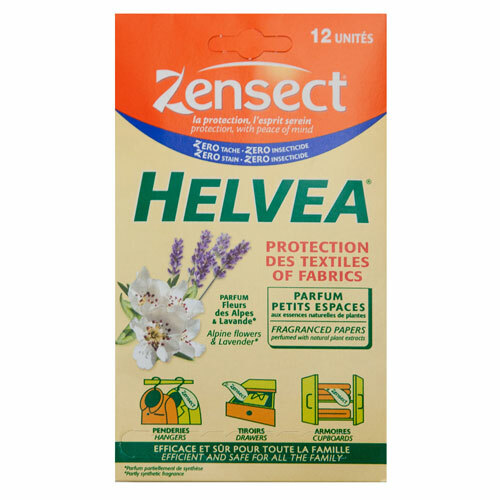 Which is why Caraselle are excited to have in the already extensive range of Moth Deterrents, this Pack of 12 Helvea Strips of Moth Repellents for Drawers & Wardrobes. 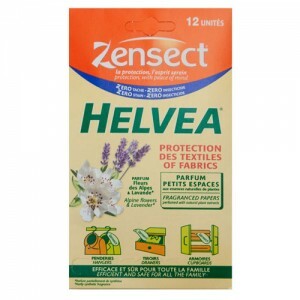 Similar to the already Best Selling Orphea Moth Deterrent Strips, these Helvea Strips are made from natural ingredients. They protect and freshen your clothes and linen with long lasting moth repellent which will also give your room a beautiful smell. But Helvea also looks after even your most valuable and more delicate garments. For best results use one strip per drawer. The strip of cloth has a perforation on it so that you can also hang it on a hanger. Inside the sachet is a moist cloth, and when you break open the sealed sachet the aroma will then waft out and deter any moth from venturing near and laying its eggs. There are 12 strips in each packet. This natural product will not stain. 1. Identify the problem. Are they Clothes Moth or Food Moths? 5. Don’t replace any of your garments until you have effective Moth Deterrents in place!